Legendary unicorns, wise owls or royal frogs - iconic animals that you need to have on your fridge! 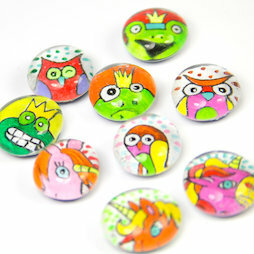 These decorative glass magnets with hand-painted animals on them are handmade in Switzerland. The magnets with their different designs are not just unique, the strong neodymium magnets on the backside also ensure a strong hold on the magnetic board.